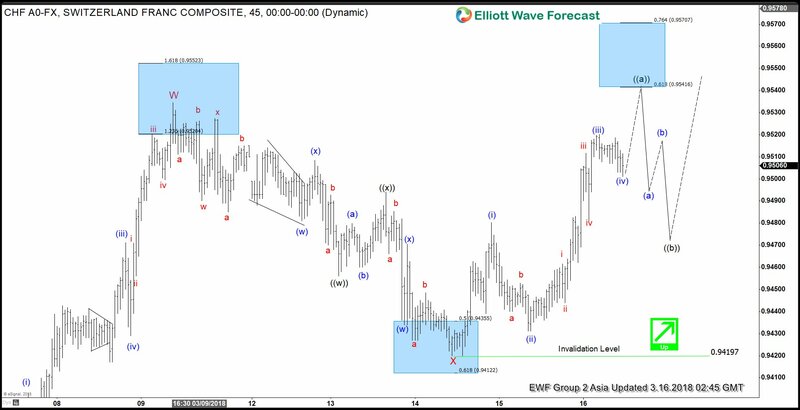 $USDCHF Elliott Wave view suggests that the rally from 3.5.2018 low (0.9336) is unfolding as a double three Elliott Wave structure where Minor wave W ended at 0.9535. Below from here, Minor wave X ended at 0.942 and the internal subdivision unfolded as a smaller degree double three Elliott Wave structure. Down from 0.9535, Minute wave ((w)) ended at 0.9456, Minute wave ((x)) ended at 0.9494, and Minute wave ((y)) of X ended at 0.942. 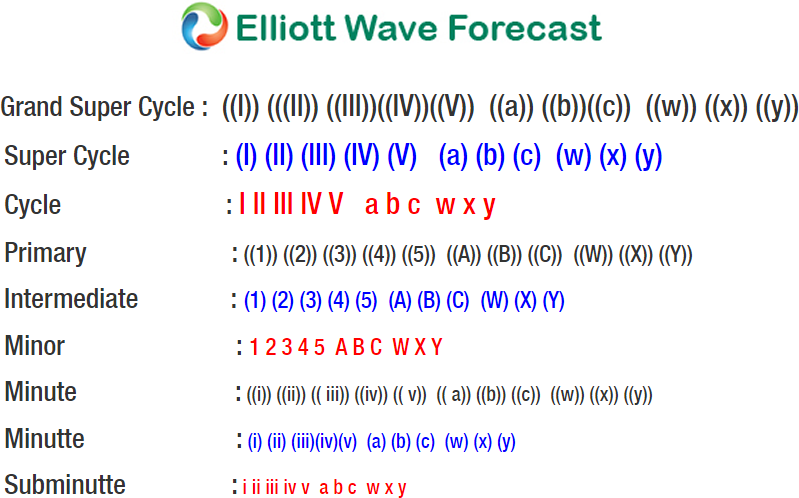 Minor wave Y is currently in progress as a zigzag Elliott Wave structure where Minute wave ((a)) should end with 1 more leg higher towards 0.954 – 0.957. 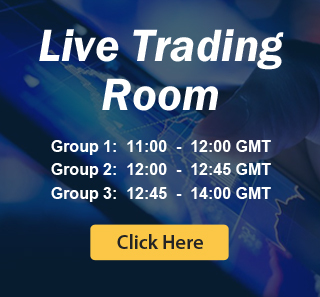 A zigzag is a 5-3-5 Elliott Wave structure. The first leg of this zigzag, Minute wave ((a)), subdivides into a 5 waves impulse Elliott Wave structure. From Minor wave X low (0.942), rally to 0.948 ended Minutte wave (i), Minutte wave (ii) ended at 0.9431, Minutte wave (iii) ended at 0.952, and Minutte wave (iv) appears complete at 0.95. Near term, expect 1 more leg higher in Minutte wave (v) towards 0.954 – 0.957 area to end Minute wave ((a)) zigzag of the higher degree. Pair should then pullback in Minute wave ((b)) in 3, 7, or 11 swing to correct cycle from 3/14 low. As far as pivot at 3/14 (0.942) is holding during the dips, pair should resume the rally to new high above Minor wave W at 0.9535.